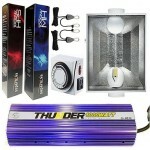 Here’s everything you need to set up your 600 Watt HPS Cool Tube reflector and start growing. 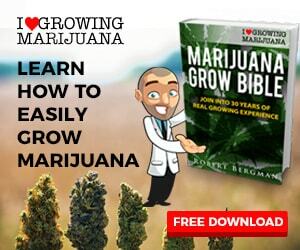 Cool tubes are great especially for grow tents. They are lighter in weight than regular reflectors and use up a lot less valuable headroom. This SuperPonics package comes with a digital, dimmable Lumatek ballast that can be set for 50%, 75%, 100%, and even at the 110% “SuperLumens” setting. 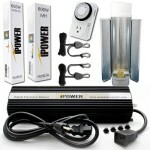 The 600 Watt HPS bulb puts out 92,000 lumens. This is the most efficient size HPS bulb. 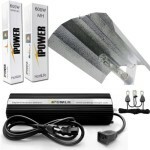 It puts out more light per watt than any other size. If you are thinking about using a 1000 watt bulb you would be way better off using 2 600 watt bulbs instead. 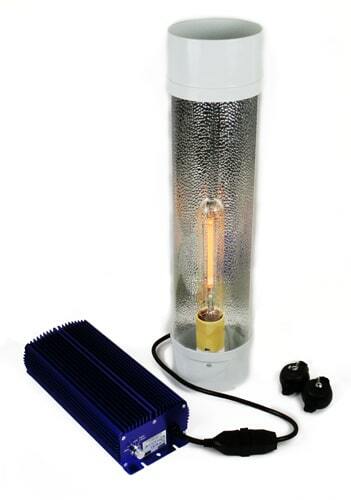 This package includes: 25.5″ by 6″ (diameter) Tempered Glass Reflector, 600w HPS Bulb-92,000 Lumens, Lumatek 600w Dimmable Digital Ballast, 84″ of 6″ Thermaflo Ducting for intake/outake, 138 CFM Axial Fan installed, Dual Yo-Yo’s for easy installation and hanging, SuperCloset, Inc 3 year warranty on all products (except bulb) and Lifetime Customer Service.